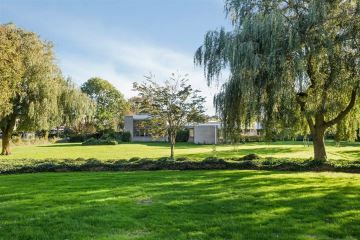 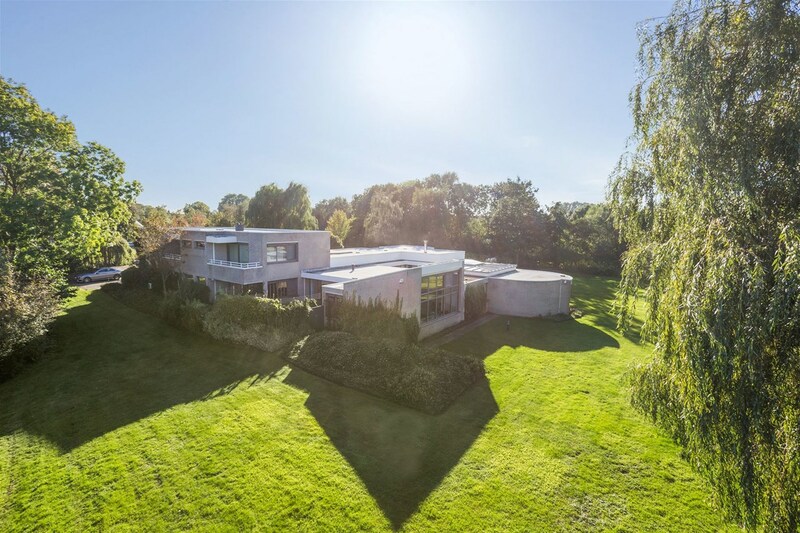 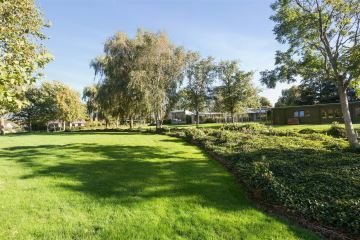 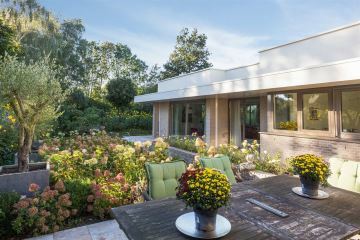 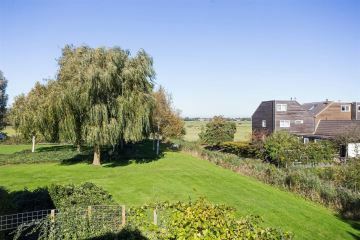 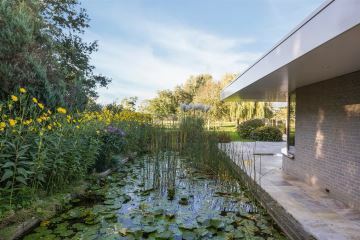 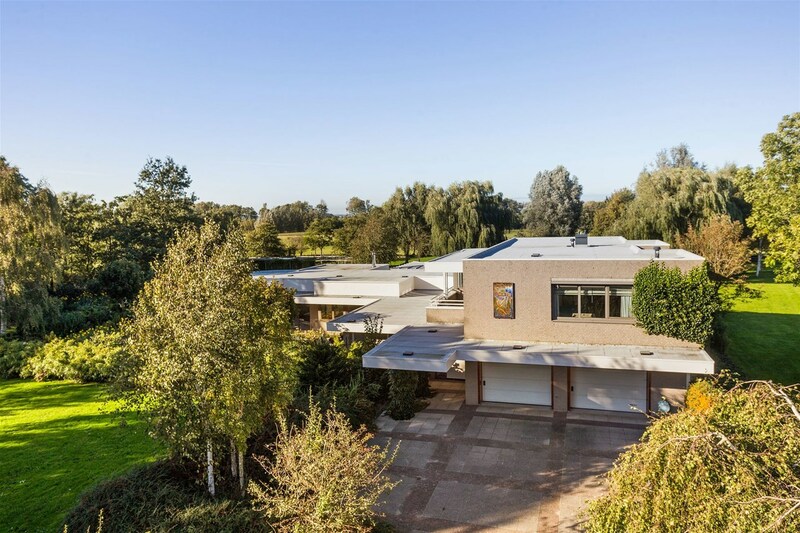 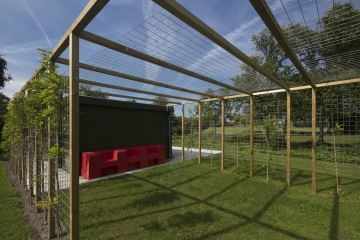 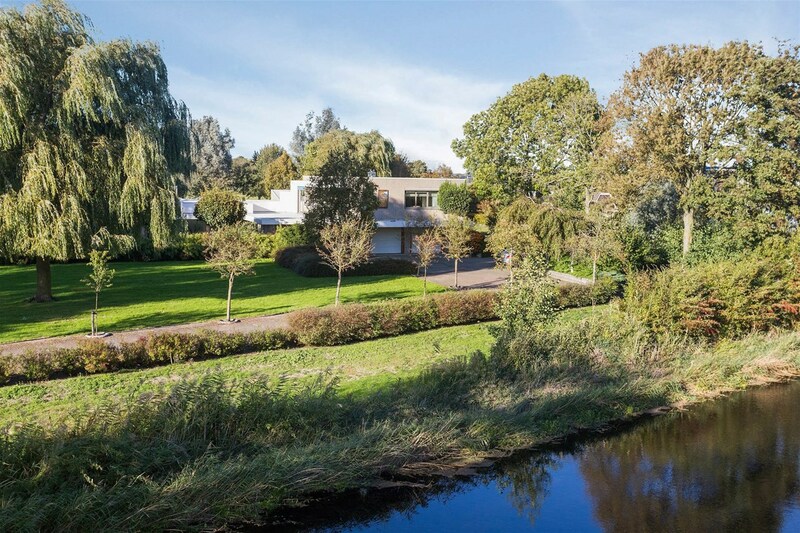 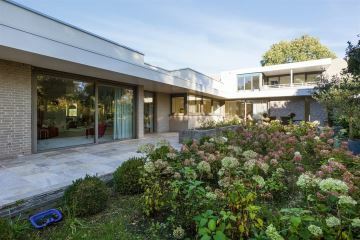 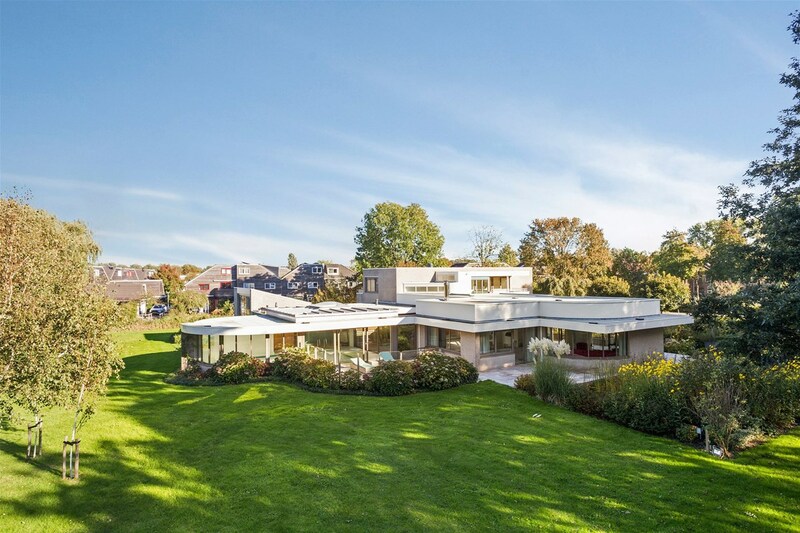 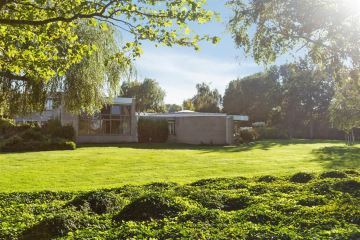 Luxurious villa on a spacious plot with lots of privacy and an unobstructed view of nature along the historic Schulpvaart. 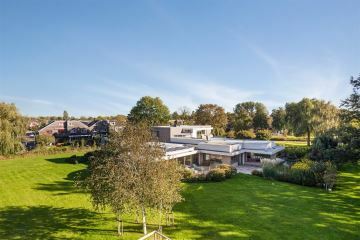 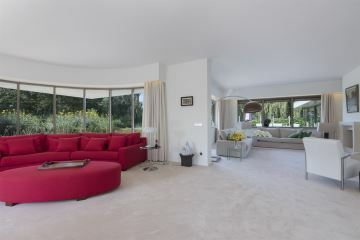 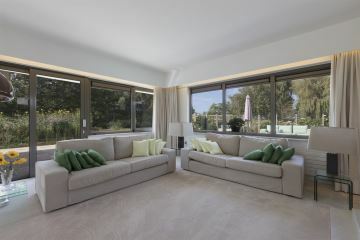 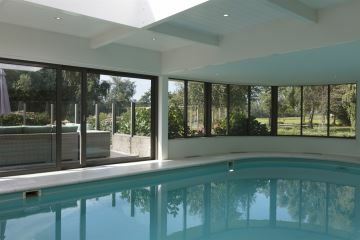 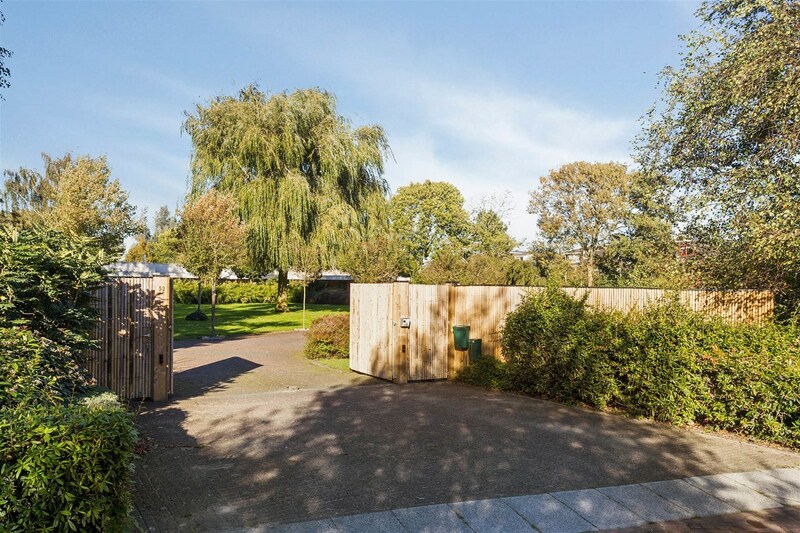 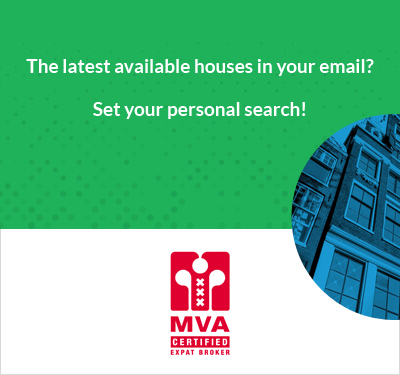 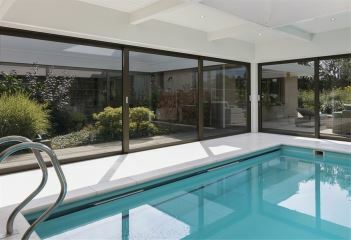 This villa, located in Castricum, has an indoor pool, sauna, garage and a beautifully landscaped surrounding garden. 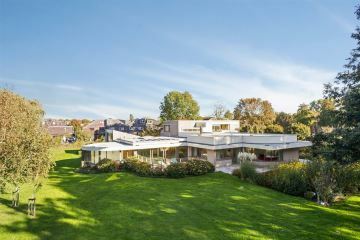 Construction year 1993, completely renovated and modernised in 2017, living area 535m�, other indoor space approx. 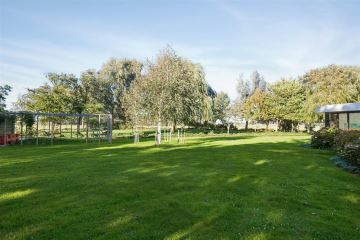 62m�, capacity approx. 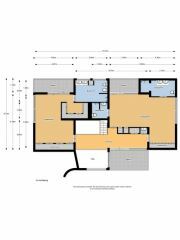 2,300m�, plot area 11,095m�. 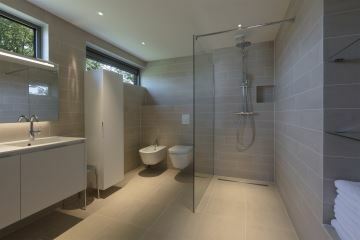 Vestibule with cloakroom, guest toilet and reception hall. 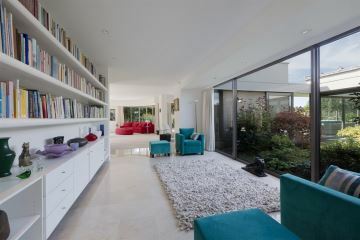 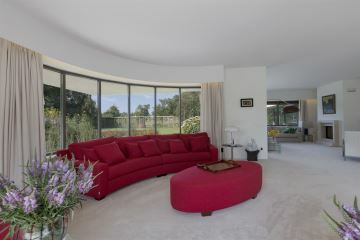 Beautiful, bright living room with various seating areas, library and natural stone fireplace. 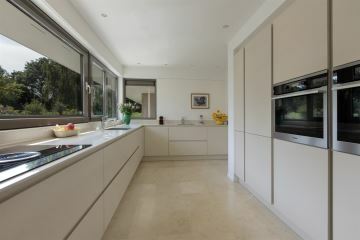 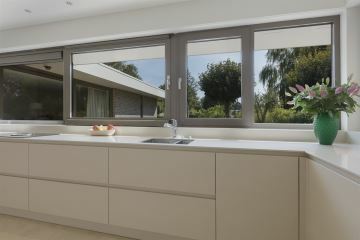 Spacious and luxurious kitchen with multiple appliances. 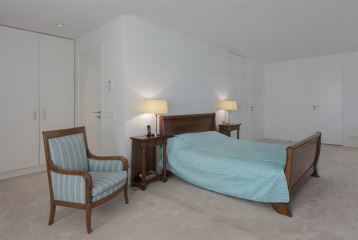 1st bedroom with high windows, equipped with private bathroom with shower and toilet. 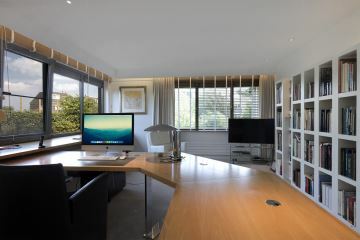 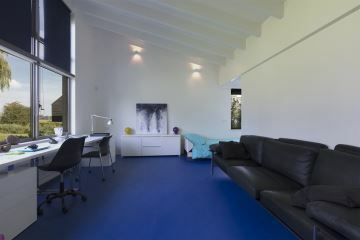 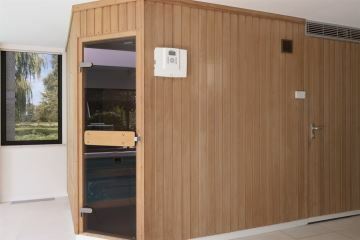 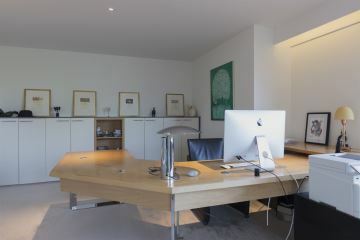 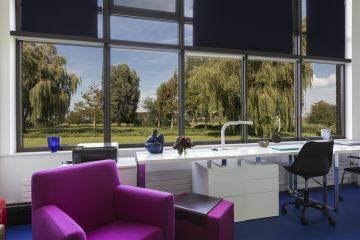 Office/study, wellness area with sliding doors to terraces and patio garden, indoor swimming pool with jet stream, sauna, massage shower and toilet. 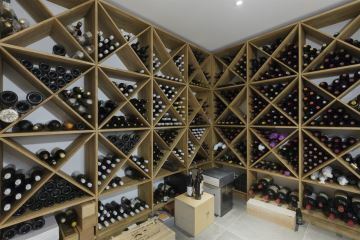 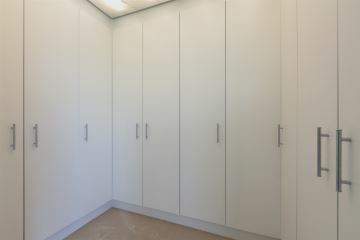 There is also a separate laundry room, air-conditioned wine room (formerly a garage) and indoor garage. 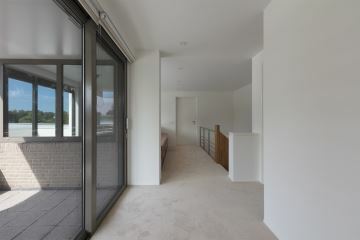 1st floor: landing with storage and spacious balcony (with the option of turning this into a 4th bedroom). 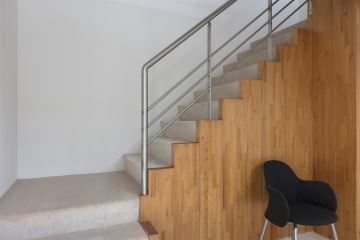 2nd bedroom with walk-in closet, balcony, private bathroom with shower, toilet and bidet. 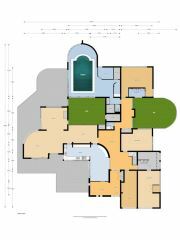 3rd bedroom with closets, balcony, two private bathrooms with shower and toilet (this bedroom can easily be divided into two separate bedrooms). 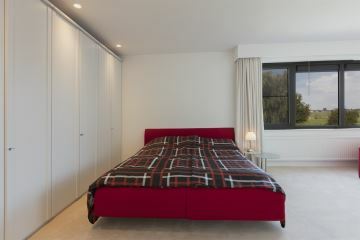 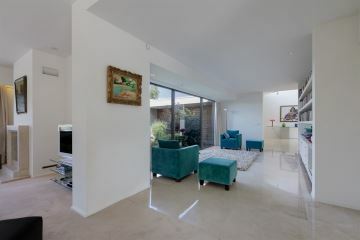 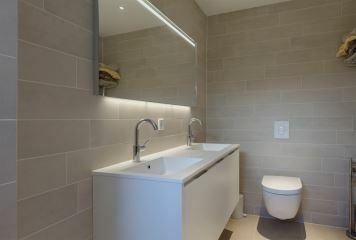 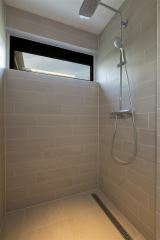 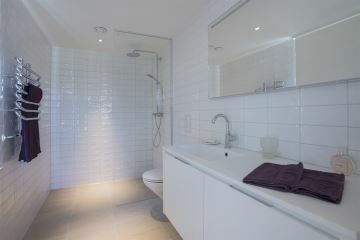 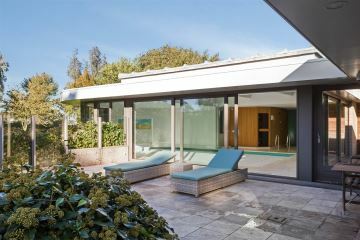 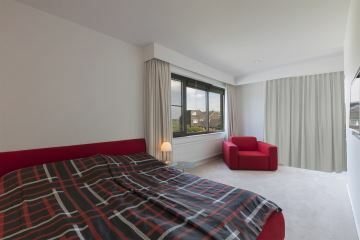 The ground floor (natural stone) and bathrooms are equipped with underfloor heating (natural stone). 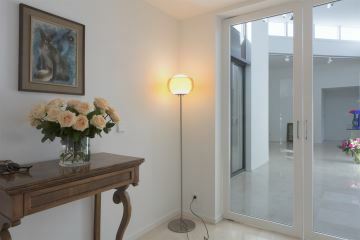 An alarm system with camera surveillance is also present. 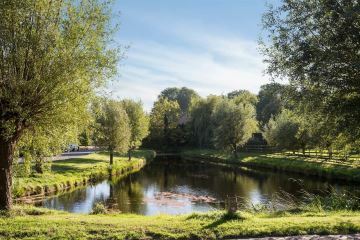 Castricum is located between the sea, beach, dunes and water: on the west side lies the North Holland dune reserve and on the east lies the Alkmaardermeer. 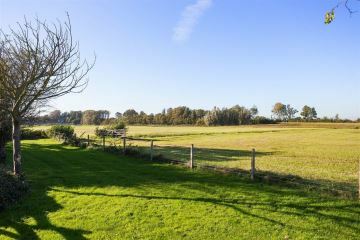 Castricum is a perfect base for Amsterdam (30 minutes), Utrecht and The Hague, but of course Alkmaar and Haarlem as well.